You are here: Immigration Idaho >> Appeals - Asylum - Deportation >> Immigration Court and Deportation >> Can I be deported for shoplifting? Shoplifting is a serious criminal offense and a shoplifting conviction can have devastating immigration consequences. If you are not a United States citizen, there is no such thing as a “small” shoplifting conviction. Depending on the shoplifting charge and your personal situation, you may be deported for shoplifting. 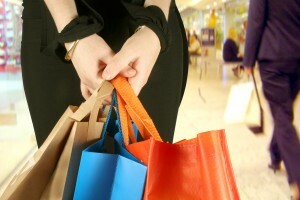 A shoplifting conviction can lead to removal or deportation depending on your situation. A shoplifting conviction may also make you “inadmissible” to the United States, which means that if you leave the United States you won’t be able to return and you won’t be able to apply for a green card and permanent resident status. If you have been charged with shoplifting, you should consult with an immigration lawyer before entering into a plea agreement or going to trial. How can a shoplifting conviction lead to deportation? Almost all shoplifting convictions will be classified as a crime of moral turpitude or CMT under immigration law. However, what crimes qualify as a CMT is a very complicated area of immigration law and you should have an immigration lawyer review your case to verify if your charge falls within the definition of a CMT. You may be deported for a CMT such as shoplifting if the crime was committed within five years after your admission into the United States and the crime was one for which a sentence of one year or more of confinement in prison may be imposed. This one year or more of confinement requirement refers to the possible sentence, not the actual sentence that you received. Keep in mind that in some states, even a conviction for petty larceny (such as you may be convicted of for shoplifting goods valued at less than $200) carries a possible sentence of 1 year in jail. You cannot simply rely on the fact that you were not sentenced to one year or more in jail — your immigration lawyer will need to review the criminal statute to determine the maximum possible sentence you could have received. Under immigration law, it doesn’t matter if the jail sentence was suspended or the conviction was later expunged. In addition, a second CMT conviction will make you deportable, no matter how long after you entered the United States your convictions occurred. If your shoplifting conviction is serious enough (such as receiving a 1 year jail sentence – even if it is suspended), it may be considered to be an aggravated felony for immigration purposes. This is true even if your conviction is considered to be a misdemeanor under state law. If your conviction is classified as an immigration aggravated felony, you will likely have no relief from deportation and likely will never be able to return to the United States in the future. If you entered the United States illegally or are out of status, your arrest for shoplifting will likely bring you to the attention of Immigration and Customs Enforcement (ICE). Even if you are not convicted of shoplifting, you likely will face deportation proceedings based on your unlawful immigration status. There are other factors that may be important when determining whether your conviction will lead to deportation. If you are placed in deportation proceedings as a result of a shoplifting conviction, you should discuss your options with an immigration lawyer. Depending on your situation, you may qualify for relief from removal. Can a shoplifting conviction make you inadmissible to the United States? Conviction or admission of a CMT such as shoplifting can also make you inadmissible to the United States. Inadmissibility plays a role when you apply for a visa, apply for adjustment of status to lawful permanent resident status, apply for a change of nonimmigrant status or attempt to enter the United States. You may qualify for an exception to inadmissibility due to a CMT conviction or admission if you were under age 18 when you committed the crime or if you meet the requirements for the petty offense exception. The petty offense exception may apply if the maximum penalty of your crime was one year of imprisonment and you were not sentenced to more than six months of imprisonment. After reviewing your case, your immigration lawyer will be able to tell you if you qualify for one of these exceptions or for some other form of relief from removal/deportation. You should make sure that you understand the possible immigration consequences of any plea agreement before you decide whether you want to accept a plea or go to trial. Your immigration lawyer will need time to evaluate your case, so you should consult with an immigration lawyer as early as possible after you have been arrested for shoplifting to make sure that your lawyer has the time needed to properly research your case before you have to make any important decisions. Make sure that you bring copies of any police reports or court documents to your initial meeting with your immigration lawyer. Your lawyer will need to review these documents in order to advise you of the immigration consequences that you may face. You should also write down your entire immigration history for your immigration lawyer to review: when you first came to the United States, your immigration status when you came to the United States, your current immigration status, any immigration violations that you may have, the dates of each entry and departure from the United States, the immigration status of any relatives in the United States, and if any immigration papers have ever been filed for you in the past. This information is important for your immigration lawyer to know so that she can identify whether you may be deportable or inadmissible and what immigration options you may have. The fear of an LPR being removed for crimes of moral turpitude is a myth. My ex had acquired two shoplifting charges which denied her citizenship on the grounds of “moral turpitude”. But there were no removal proceedings initiated. She has since acquired three additional charges, and convictions, for shoplifting and has managed to leave the country two times for a month at a time with no repercussions to her green card. Again, not so much as a deferred inspection for admissibility. The last three charges and the trips abroad have been within the last year and a half. IN that time she has also managed to rack up additional crimes. Obama’s plan was to focus more on the “criminal aliens”. Well, his plan, like most of his policies, has failed. The threat of LPRs being deported due to “crimes of moral turpitude” seems to be merely a catch phrase used by immigration lawyers on all their websites to drum up business. Although it is impossible to comment on your ex’s case without reviewing all of the court documents, I can note that it is not uncommon for the immigration consequences of a criminal conviction to become an issue only months or even years after the conviction. It is also not uncommon for someone to be able to travel outside the United States several times without being detained or placed in removal proceedings. The problem, however, is that eventually the immigration consequences of a criminal conviction will catch up to an immigrant who is deportable or inadmissible because of a conviction. These consequences are even more devastating when they arise years after the conviction because by that time the person has moved forward with his or her life and is unsuspecting of the fact that they may be deportable or inadmissible. If you have any doubt about the reality of permanent residents being deported due to crimes of moral turpitude, I encourage you to observe a master calendar hearing at your local immigration court. well, your comment has given me a little hope that something will be done, eventually. But I still wouldn’t hold my breath.